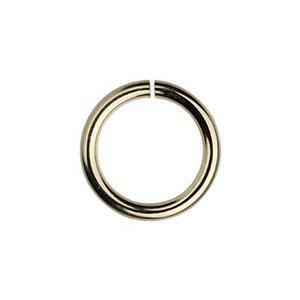 Large diameter 18 gauge gold filled jump ring for connecting big components or finishing fashion chains. This wire loop is big enough to become a circular design element as well. We would love to see your jewelry making ideas. Tag #Halsteadmakers on your social media posts.